Brite Semiconductor is a world-leading ASIC design solution provider, and DDR controller/PHY provider, targeting at ULSI ASIC/SoC chip design on SMIC advanced 55nm/40nm/28nm process technology and turn-Key solutions. Brite Semiconductor provides flexible one-stop services from RTL/netlist to chip delivery, and seamless, low-cost, and low-risk solutions to customers. Brite Semiconductor was founded in 2008 by venture capital firms from China and abroad, and collaborated with Semiconductor Manufacturing International Corporation (SMIC) as strategic partners in 2010. Headquarter in Shanghai, Brite has two subsidiaries of Beijing Brite IP and Hefei Brite Technology and has set up offices in US, Europe, Japan and Taiwan providing services to customers. Naneng Microelectronics is a leading edge semiconductor IP design and IP service provider in China and oversea market. With proprietary circuit design technology and progressive development, Naneng has achieved intellectual property on the physical layer IP for application like PCIE, USB3.1/USB3.0/USB2.0, JESD204B, V-By-One, as well as the next generation of high speed serial interface IP. Reflex CES is an ISO9001 company designing and manufacturing custom electronic embedded systems. Solutions delivered include: CPU, processing or acquisition boards or complete chassis, high speed data recorders, FPGA SoC, ASIC prototyping platforms; ReflexCES also delivers customized SoM carrier boards with dedicated IOs and extensions. Avery supports over 35 standard protocols ranging from high speed IO, SSD/HDD, mobile, embedded storage, memory, and control bus protocols. Avery VIPs offer the most complete verification solutions consisting of SystemVerilog UVM compliant models and environment, protocol checkers, directed and random compliance test suites, and reference verification frameworks. Advanced debug features include multi-level analyzer trackers to visualize data and control flow through the protocol stacks. Compliance verification services are offered for all VIPs. Mentor Graphics Corporation is a world leader in electronic hardware and software design solutions, providing products, consulting services and award-winning support for the world's most successful electronic, semiconductor and systems companies. Established in 1981, the company reported revenues in the last fiscal year in excess of $1.15 billion. Corporate headquarters are located at 8005 S.W. Boeckman Road, Wilsonville, Oregon 97070-7777. Some of the IPs that are ready for the off-the-shelf deployment are, 10gbps SerDes, PCIE gen3 with backward compatability of Gen2 & Gen1, USB 3.0 /&3.1, PCI GEN4, Phase Locked Loops upto 16GHz, clocking solutions and CDR ( Clock Data Recovery) circuits. The above IPs are available in all the major foundries like TSMC, Gobal Foundries in the technology nodes starting from 90nm to 28nm. GLOBALFOUNDRIES entered the foundry industry in early 2009 with a simple but ambitious goal to become the world's first truly global foundry. In a short span of time, we have achieved this milestone with manufacturing operations spanning three continents for flexible and secure supply. Furthermore, we are charting a bold new course to completely reshape the landscape of the foundry industry through a collaborative approach to both technology development and customer engagement. Our manufacturing centers in Germany, the United States and Singapore deliver advanced technologies to market in high volume and mature yield faster than any other foundry in the world, and offer an outstanding legacy of foundry operational and customer service excellence. Our global manufacturing footprint is supported by major facilities for research, development and design enablement located near the major hubs of semiconductor activity in the US, Europe and Asia. Renesas Electronics Corporation (TSE: 6723), the world's number one supplier of microcontrollers, is a premier supplier of advanced semiconductor solutions including microcontrollers, SoC solutions and a broad range of analog and power devices. Business operations began as Renesas Electronics in April 2010 through the integration of NEC Electronics Corporation (TSE:6723) and Renesas Technology Corp., with operations spanning research, development, design and manufacturing for a wide range of applications. Headquartered in Japan, Renesas Electronics has subsidiaries in approximately 20 countries worldwide. Samsung Foundry offers deep expertise in advanced process and design technologies as well as an excellent track record in high-volume manufacturing. We offer a full range of foundry capabilities from design engagements to turnkey projects, with a focus on leading-edge process technologies from 90nm to 32/28nm on 300mm wafers and beyond. 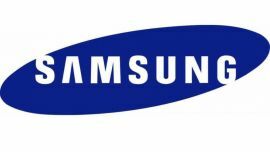 Samsung Foundry provides a full range of solutions including advanced process technology, design services, design intellectual property (IP), and manufacturing facilities. Customer support is available at every step, from the initial engagement to volume manufacturing. And customer IP is stringently protected. TSMC has consistently experienced strong growth by building solid partnerships with its customers, large and small. IC suppliers from around the world trust TSMC with their manufacturing needs, thanks to its unique integration of cutting-edge process technologies, pioneering design services, manufacturing productivity and product quality. The company's total managed capacity reached 15.1 million eight-inch equivalent wafers in 2012. TSMC operates three advanced 12-inch wafer fabs, four eight-inch wafer fabs, and one six-inch wafer fab in Taiwan. TSMC also manages two eight-inch fabs at wholly owned subsidiaries: WaferTech in the United States and TSMC China Company Limited. TSMC also obtains eight-inch wafer capacity from other companies in which the Company has an equity interest. To better manage its long-term strategic growth, TSMC is investing in lighting and solar energy related-industries. With differentiated technology offerings and unique value propositions, TSMC will aggressively pursue new opportunities in these fields. 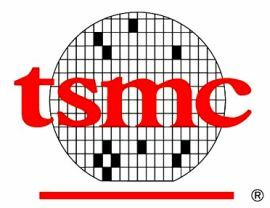 TSMC is listed on the Taiwan Stock Exchange (TWSE) under ticker number 2330, and its American Depositary Shares trade on the New York Stock Exchange (NYSE) under the symbol "TSM". UMC is a leading global semiconductor foundry that provides advanced technology and manufacturing for applications spanning every major sector of the IC industry. UMC's robust foundry solutions allow chip designers to leverage the company's leading-edge processes, which include 28nm poly-SiON and gate-last High-K/Metal Gate technology, mixed signal/RFCMOS, and a wide range of specialty technologies. UMC is committed to the timely delivery of leading-edge solutions that serve the specific and unique requirements of our customers in the face of today's advanced applications. UMC collaborates closely with customers as well as partners throughout the entire supply chain, including equipment, EDA tool, and IP vendors to work synergistically towards each customer's SoC silicon success. The Programmable Solutions Group within Intel offers a broad portfolio of programmable logic solutions that allow customers to solve a wide variety of system-level challenges. FPGAs enable system architects to increase system performance and power efficiency, reduce total cost of ownership and board area, and accelerate time-to-market and design team productivity. Intel FPGAs and SoC FPGAs target an array of applications in many industries, including automotive, broadcast, data center, communications, consumer, industrial, medical, military and aerospace, and test and measurement. Our technology, although unique in the FPGA industry, is already being embraced by other leading-edge IC suppliers because it dramatically reduces static power when compared with alternative process technologies. At the 28nm node, static power is often a more significant portion of the total power dissipation of a device. Therefore, to achieve maximum power efficiency, the choice of process technology is paramount.Dramatic reductions in FPGA static power at 28nm leaves more of the system power budget for active, dynamic power, yielding higher levels of both integration and system performance. This gives designers the flexibility to implement products at lower power, or alternatively, create products that increase capacity and performance within the same power budget. Much more than just another connector company, Samtec puts people first with a commitment to exceptional service, quality products, and convenient design tools. We believe that people matter, and taking care of our customers and our employees is paramount in how we approach our business. This belief is deeply ingrained throughout the organization, and means that you can expect exceptional service coupled with technologies that take the industry further faster. Analog Bits, Inc. is the leader in developing and delivering low-power integrated clocking and interconnect IP that are pervasive in virtually all of today's semiconductors. Products include precision clocking macros such as PLLs and DLLs, programmable interconnect solutions, such as multi-protocol SERDES and I/Os; as well as specialized high-speed SRAMs and TCAMs. 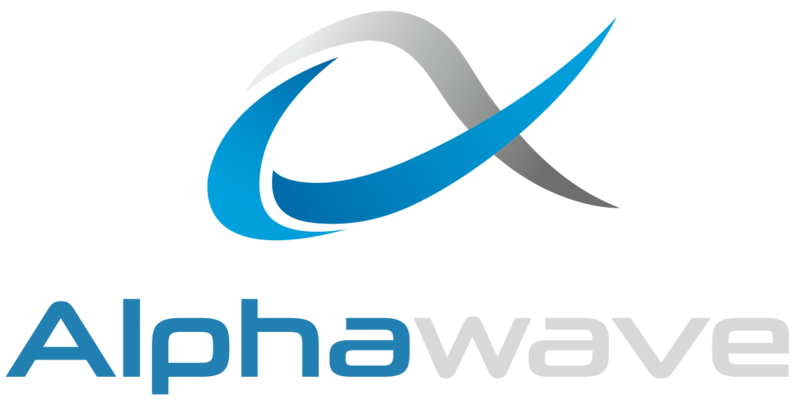 AnalogX (www.analogx.io) develops cutting-edge, connectivity IP solutions for today’s premier technology companies. Founded in 2017, AX’s mission is to enable high-end, mixed-signal IPs that drive revolutionary SoC designs for high-bandwidth applications that range from AI to Data Center Computing. AnalogX Inc. headquarters are in Toronto, Canada. Avago Technologies is a leading designer, developer and global supplier of a broad range of analog, digital, mixed signal and optoelectronics components and subsystems with a focus in III-V compound semiconductor design and processing. Backed by an extensive portfolio of intellectual property, Avago products serve four primary target markets: wireless communications, wired infrastructure, enterprise storage, industrial and other markets. 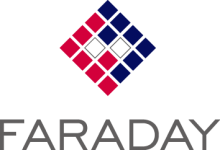 Faraday Technology Corporation is a leading ASIC design Service and IP provider. 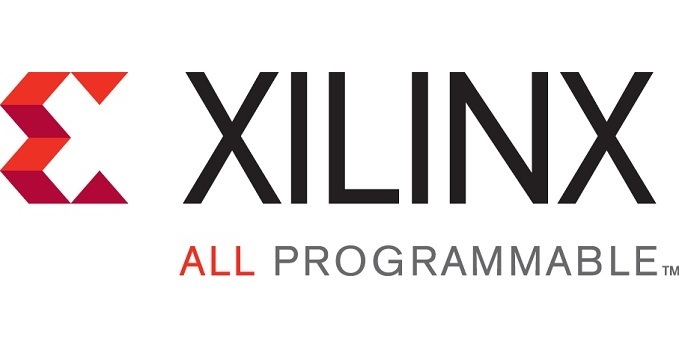 The broad silicon IP portfolio includes I/O, Cell Library, Memory Compiler, ARM-compliant CPUs, DDR2/3/4, low-power DDR1/2/3, MIPI, V-by-One, MPEG4, H.264, USB 2.0/3.1 Gen 1, 10/100/1000 Ethernet, Serial ATA, PCI Express, and programmable SerDes, etc. Headquartered in Taiwan, Faraday has service and support offices around the world, including the U.S., Japan, Europe, and China. GLOBAL UNICHIP CORP. (GUC), is the Flexible ASIC LeaderTM who provides the semiconductor industry with leading IC implementation and SoC manufacturing services. Based in Hsin-chu Taiwan, GUC has developed a global reputation with a presence in China, Europe, Japan, Korea, and North America. GUC is publicly traded on the Taiwan Stock Exchange under the symbol 3443. M31 Technology is a professional silicon intellectual property (SIP) provider. The company was founded in July 2011 with headquarter in Hsinchu, Taiwan. M31’s strength is R&D and customer service. With substantial experience in IP development, IC design and electronic design automation, M31 focuses on providing high-speed interface IP, memory compilers and standard cell library solutions. These fresh solutions not only help our customers succeed, but also enrich the experiences for those who rely on technology. Over the years, as consumers have become more digitally connected and integrated with their devices, we‘ve also become more integrated with technology, expanding our sphere of excellence beyond semiconductor main memory. So while we’re best known for creating unsurpassed memory architectures, we are also developing world-changing products and services in mobile media, security, advanced LED lighting and LED displays. Renesas Electronics Corporation delivers trusted embedded design innovation with complete semiconductor solutions that enable billions of connected, intelligent devices to enhance the way people work and live—securely and safely. A global leader in microcontrollers, analog, power and SoC products, Renesas provides the expertise, quality, and comprehensive solutions for a broad range of Automotive, Industrial, Home Electronics (HE), Office Automation (OA) and Information Communication Technology (ICT) applications to help shape a limitless future. Silicon Creations provides world class silicon IP for precision and general purpose timing (PLLs), SerDes and high-speed differential IOs. We have a deep commitment to our customer’s success and to providing complete support. Our careful development procedures and strong QA result in robust and correct designs. And in our labs we comprehensively test all key blocks. As a result our IP has an excellent record of first silicon to mass production in over 300 chips for over 100 customers. Our IP is used in diverse applications including mobile phones, consumer devices, processors, network devices and medical devices and in technologies from 180nm to 10nm, and has earned “best-of” awards from TSMC and SMIC. Silicon Creations was founded in 2006, is self-funded and is growing. We have development centers in Atlanta, USA and Krakow, Poland and world-wide sales representation. 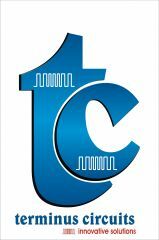 Terminus Circuits Pvt Ltd which is started and being operated by technocrats who have proved themselves in the semiconductor industry over the past two decades. The main focus of the company is into design & development of serial links in high speed interface circuit design area and into analog circuits. For the last four years of development has resulted into development of highly complex interface IPs which are niche in the market and have potential for large volume productions catering into consumer and enterprise market needs. Some of the IPs that are ready for the off-the-shelf deployment are, 10gbps SerDes, PCIE gen3 with backward compatability of Gen2 & Gen1, USB 3.0 /&3.1, PCI GEN4, Phase Locked Loops upto 16GHz, clocking solutions and CDR ( Clock Data Recovery) circuits. The above IPs are available in all the major foundries like TSMC, Gobal Foundries in the technology nodes starting from 90nm to 28nm.